and enabling some basic analysis on the collection from the perspective of a historian. 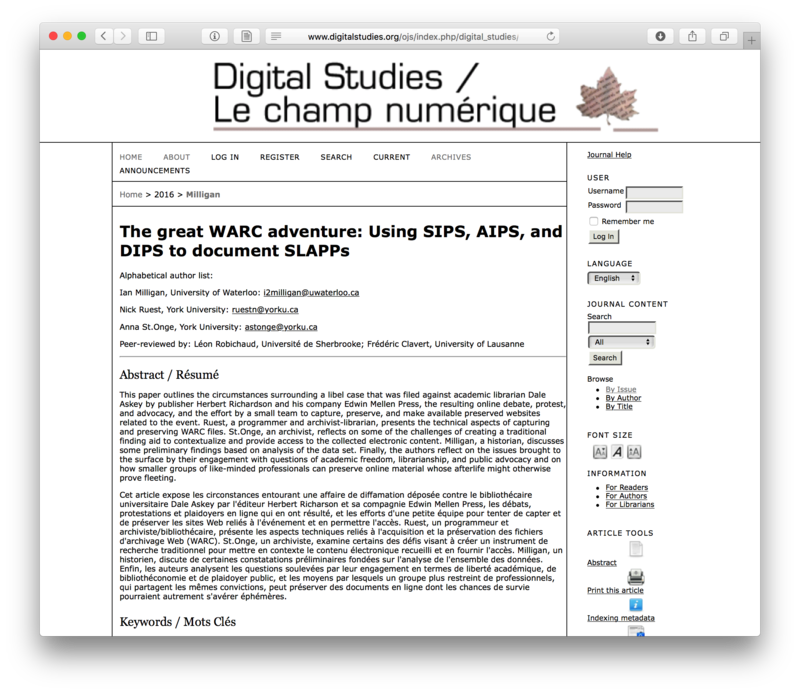 While the long publishing time meant that some of our more recent approaches to analyzing web archives – warcbase, for example – didn’t make it in, the article hopefully provides a useful conceptual approach to working with web archives. We thought that this post from December 2015 was still relevant today. In short, it shows how you can take web archive network files generated by our research team and analyze them yourselves using the open-source Gephi package. Even more excitingly, there’s many more Gephi files available today for your analysis. To find them, visit our network data page here: https://dataverse.scholarsportal.info/dataset.xhtml?persistentId=hdl:10864/12040. It grows on a regular basis! 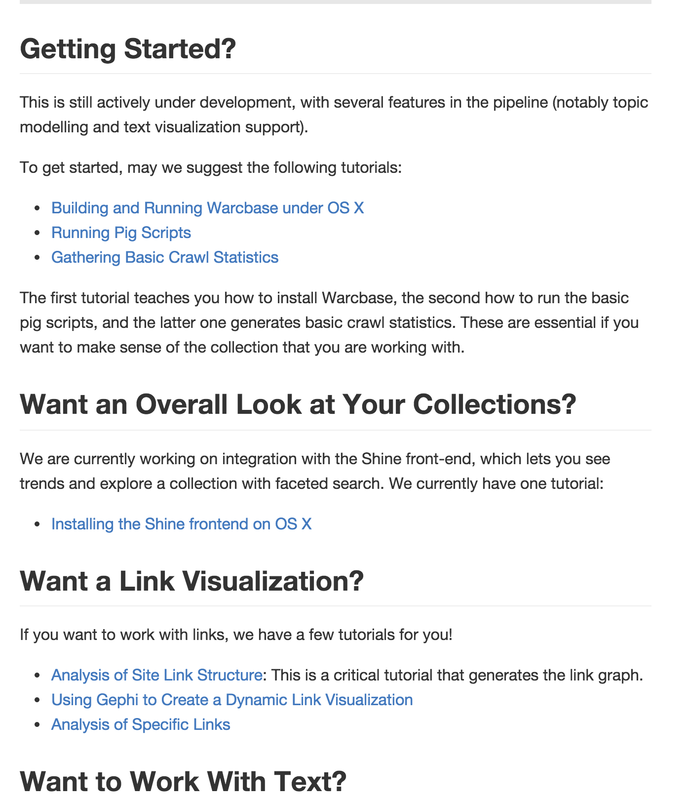 Do you want to make this link graph yourself from our data? Read on. As part of our commitment to open data – in keeping with the spirit and principles of our funding agency, as well as our core scholarly principles – our research team is beginning to release derivative data. 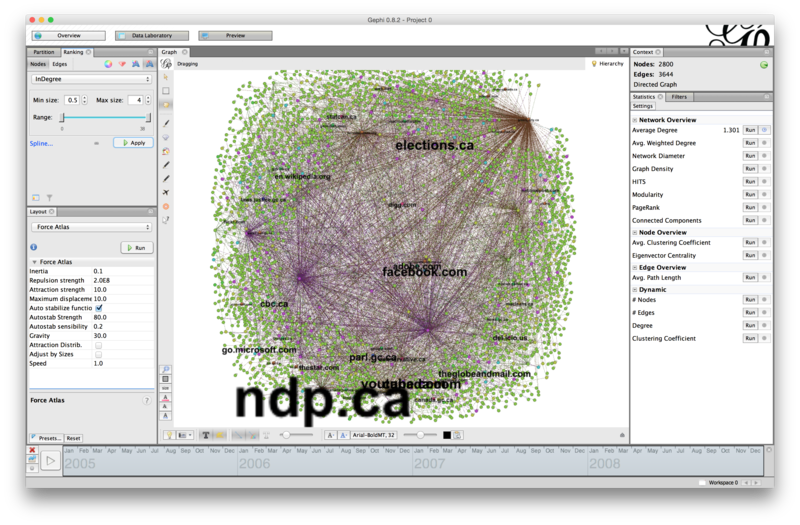 The first dataset that we are releasing is the Canadian Political Parties and Interest Groups link graph data, available in our Scholars Portal Dataverse space. 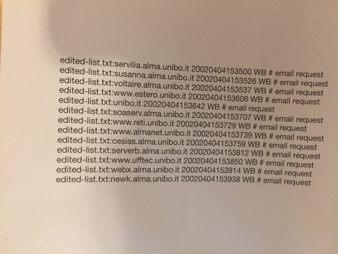 The first file is all-links-cpp-link.graphml, a file consisting of all of the links between websites found in the our collection. It was generated using warcbase’s function that extracts links and writes them to a graph network file, documented here. The exact script used can be found here. However, releasing data is only useful if we show people how they can use it. So! Here you go. I recently had the opportunity to attend – via Beam Telepresence robot – a talk by Richard Vijgen, creator of the 2011 “Deleted City” art exhibit, and GeoCities founder David Bohnett. The “Deleted City” was hosted in the lobby of the Computer History Museum in Mountain View, California, and the talks marked the end of the exhibit. I won’t give a full recapping of the talk, as I always find those difficult to both write and read, but will give a few impressions alongside the video! They were both fascinating talks, available via YouTube above. Richard’s talk was fascinating in that it explored what Big Data means for historians – and recounted his experience of working with the Archive Team torrent. 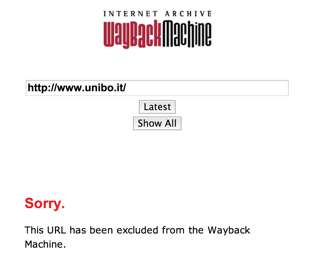 To me, the talk really underscored the importance of doing web history: the web really is the record of our lives today, and we need to hope that there are people there to back up this sort of information! It was followed by David Bohnett, who explained the idea behind GeoCities, some of the technical challenges he faced, and really what it was like to preside over such explosive growth during the dot com era. As somebody who’s explored ideas of GeoCities as a community before, I was interested to hear so much emphasis placed in his talk upon the neighbourhood structure, volunteer community leaders, and what this all meant for bringing people together. As a writer on this topic, it was pretty interesting and reassuring to hear that my own ideas weren’t off kilter! Anyways, check the video out for yourself if you’re interested.